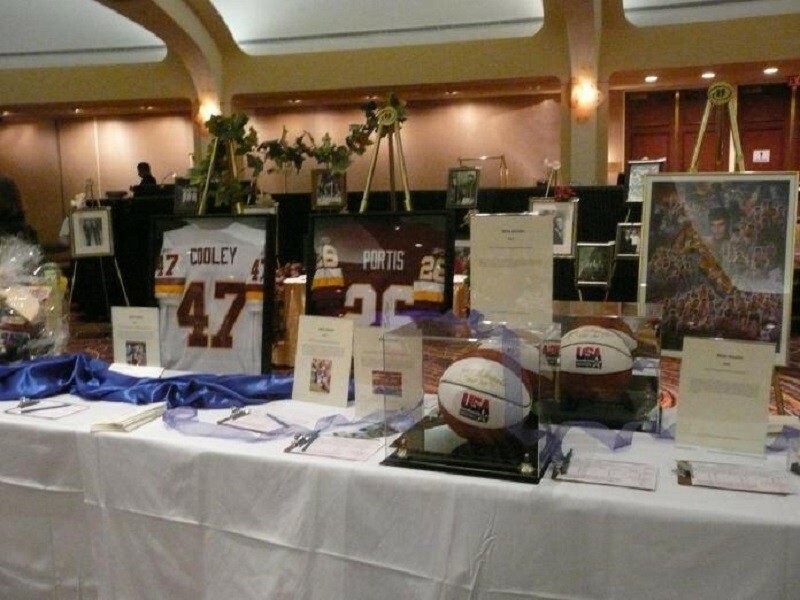 Robbie’s First Base has been offering items for silent and live auctions for the past 19 years in the Baltimore/Washington area. 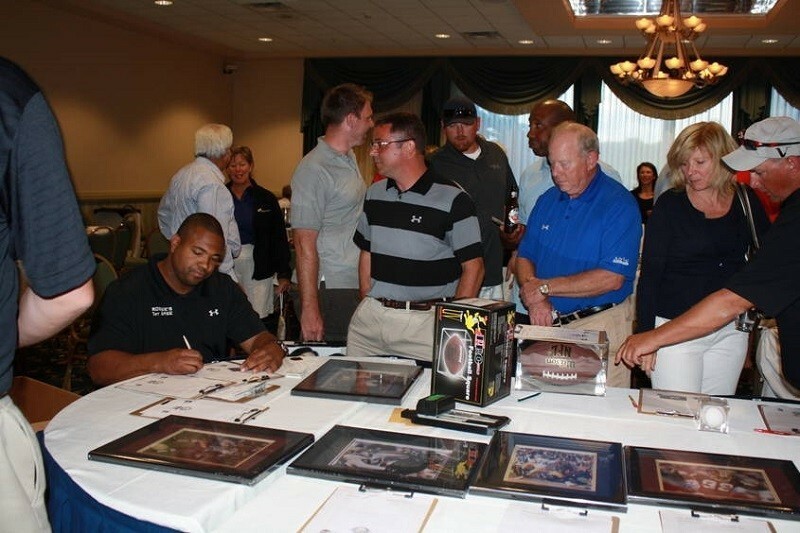 During that time we have helped a host of local schools, youth sports leagues, and organizations raise thousands of dollars. Using our items at your event is at no risk to you because if they don’t get any bids, you simply return the items to us. You don’t owe us anything unless the item sells at your event. How many items do we need? We generally provide 10 items per 100 people attendance, but each event is unique so it’s ultimately your choice. Once the item reaches our “reserve” amount, everything above that amount is yours. For example: Justin Tucker signed football, if we need $100.00 and the item brings $ 300.00 at the auction, you just made $200.00. What forms of payment can we accept? We accept all major credit cards, cash and checks. If you do not already have the ability to process credit card payments, we can provide that option for you. However, that is only available for purchase of items from RFB. How are the items presented and do they come with Certificate of Authenticity? 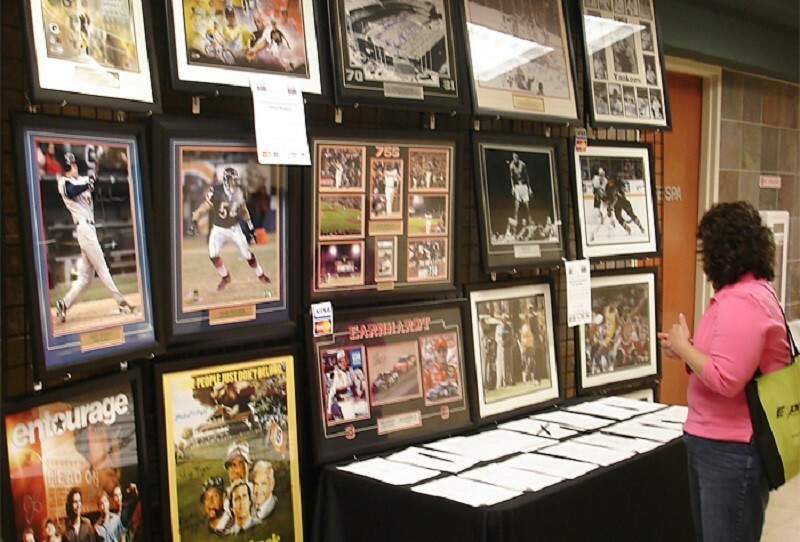 All items provided from Robbie's First Base come in frames or display cases. All autographed items come with Certificate of Authenticity. This is an excellent option for Golf Tournaments, Crab Feasts, 5K or fun runs, Happy Hour/ Business dinner style events and interoffice fundraisers. Close contact with your clientele is essential with raffles because you still will have to reach your reserve before breaking even and getting in the black. For example, if you have a $200 reserve item to raffle you need to sell 40 - $5 chances or 20 - $10 chances before making a profit.